PARIS (Reuters) - French Open organizers on Thursday unveiled the brand new Court Simonne Mathieu, hoping the 5,000-seat arena will boost the tournament's atmosphere as they raised the prize money by more than eight percent. Named after France's second-most decorated female player, the arena is nestled among the area's graceful 19-century greenhouses. The prize money has been raised from 39.2 million euros ($44.48 million) up to 42.6 million, with the singles' winners each earning a cheque of 2.3 million euros. Tournament director Guy Forget doesn't yet know which players will be the first to step onto the brand new court when the French Open starts on May 26, but he is certain the arena will be worthy of the occasion. "Wimbledon, the U.S. and Australian Open spread out, they have facilities that are more modern, more comfortable, we were a bit lagging behind," Forget said. "Thanks to this court and the stadium that has been growing in size, we will be able to welcome all the fans in perfect conditions." 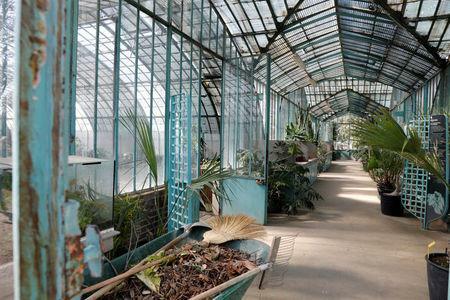 Concern for the greenhouses was at the heart of the fierce opposition the French Tennis Federation faced when it announced the revamp, because the plan involved expanding the venue into the picturesque Serres d'Auteuil.